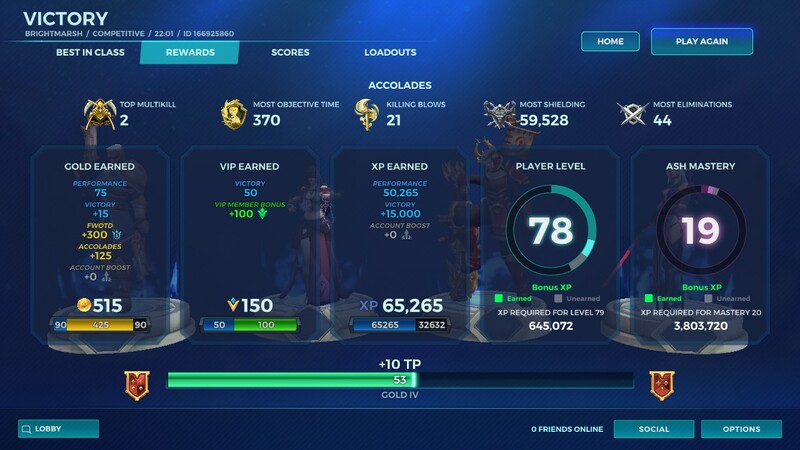 Paladins... Finally Got That Hard Carry Achievement, and did it with Ash! And while I rarely ever brag about in-game exploits, because I let the videos speak for themselves, I am rather proud of this. 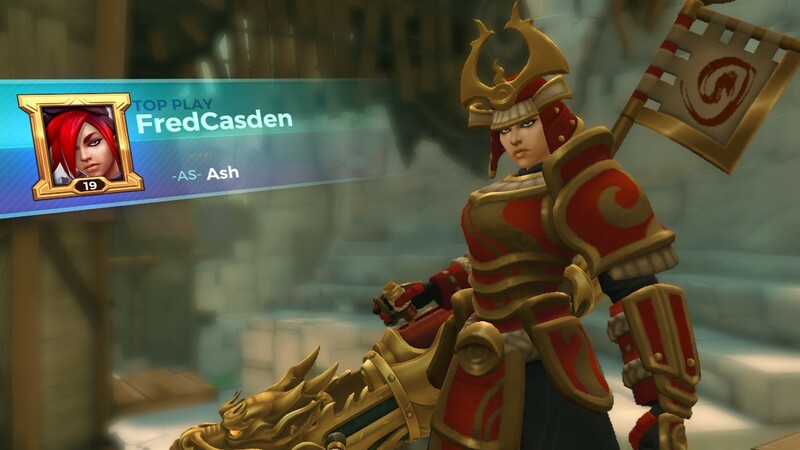 As you may know, I am a big fan of the game Paladins and have logged in over 370 hours since February. Now one of the hardest achievements to get is 'Hard Carry' which is to kill more than 20 players on the opposing team during a Casual Siege match or in a Competitive Mode match, and I finally pulled it off with an unlikely character... Ash. Ash is a Front Line character, AKA a tank... she has a moving shield that depending on the legendary card used moves and expires quick or slow, a forward charge that can knock opponents back, as well as an alternative fire mode to blast opponents back a good distance in an open map. Her weapon, a cannon, has 8 shots that does a fair amount of damage. The thing is... she's not really built to rack up deaths, as she wears down the enemy's tank shields which allow flank and damage types to finish them off because of their weapons being quicker to fire and having more ammo, so I would rack up assists quite frequently. 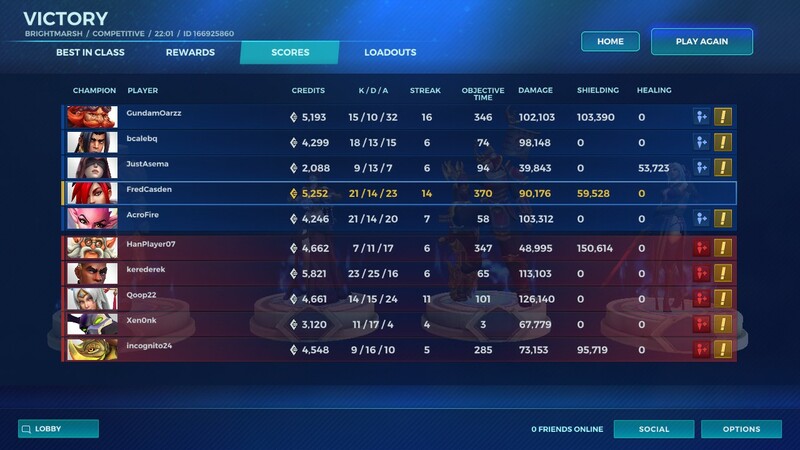 So you could imagine my surprise when the match (which was a competitive ranked match) ended and I saw the results screen, saying that I had 21 Kills... my jaw dropped. I knew it was a tight match and as usual I was doing my job as a tank to be on the objectives at all times, so I was focused on just trying to control the capture point and the area around the siege engine. But regardless... I'm going to bed with a smile on my face!